STAS has years of experience in the field of business projects in various sectors and buildings. We supply healthcare institutions, schools and universities, renowned galleries and museums, government institutions, hotels and offices. We are happy to explain what we can do for your company or institution. Take a look with STAS' eyes at the business interior for which you are responsible. Many project developers, architects, facility managers and board members have introduced you. They saw: suspension systems can no longer be ignored in flexible and sustainable building management. STAS picture hanging systems develops and produces all the hanging systems themselves. Our patented systems were copied several times, but never equaled. STAS has all experience and expertise in-house to guide your project from start to finish. 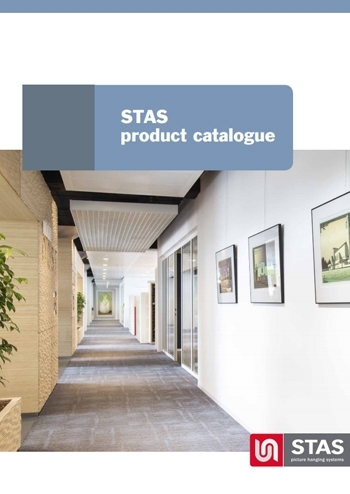 STAS suspension systems draws all necessary suspension systems for your entire building. We analyze your needs carefully and, if desired, ensure a perfect assembly. We specialize in tailor-made solutions and are happy to think along with you, naturally also on location. Expert advice from our professional sales staff, quick quotes, delivery of the complete system and professional assembly. We value service; we are only satisfied when you are! 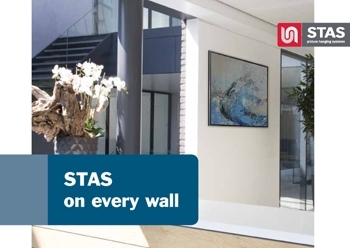 via telephone number: +31 (0) 40-292 48 48, or send an e-mail: info@stas.nl.